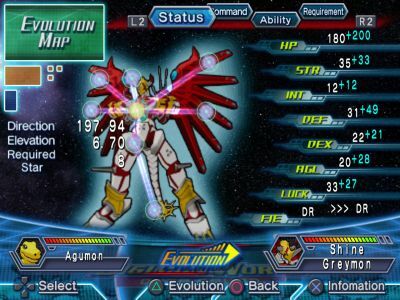 Set for release in September 2007 in the USA (it came out November 30, 2006 in Japan), the BEC-developed Digimon World Data Squad is the latest PS2 Digimon game. 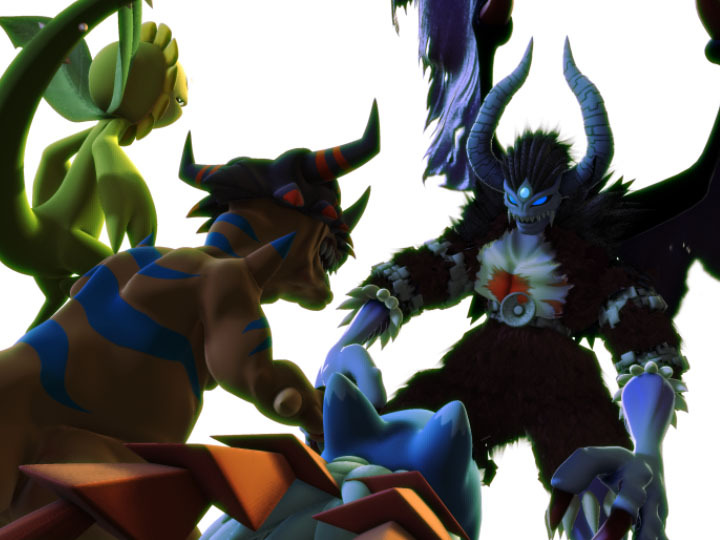 PW gets its information straight from Namco Bandai, the game's publisher, and will be keeping you updated. 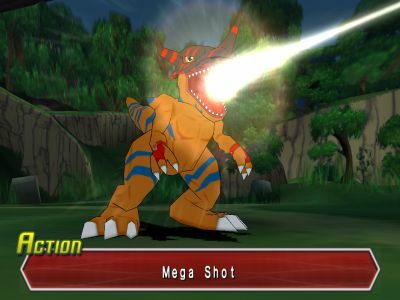 DWDS is a cel-shaded RPG. The story is based on the DDS/Savers storyline, and the voice actors from the TV show dub reprise their roles in the game. 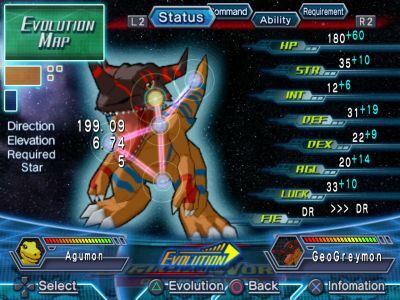 Over 140 Digimon are available. 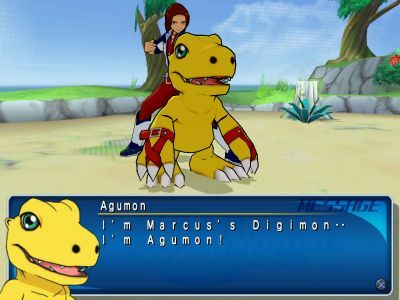 You play as Masaru, needing to find missing children and defeat the Seven Demon Kings as part of your role in DATS. 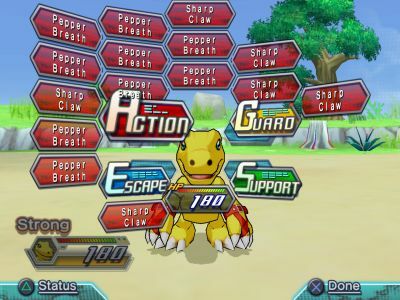 DWDS also has an "emotion engine", which lets Digimon communicate what they want to do in battle. 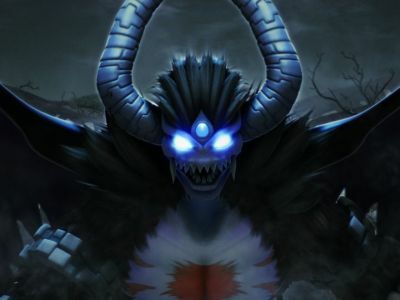 Oh wait, so that's what was doing the possessing. 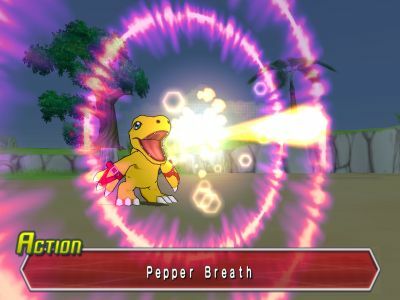 That's a mighty big Pepper Breath. 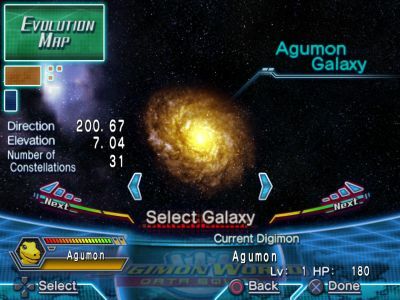 I hope they fix that spelling error in "information" before the game comes out. How many Pepper Breaths do you need to make a Combee, anyway? Looks kinda neat. Also really trippy. Onoes. "Marcus". 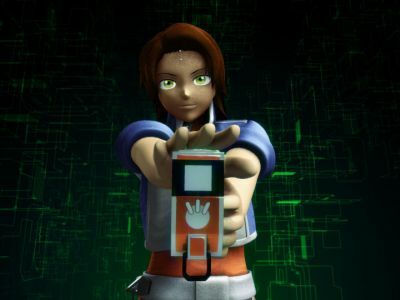 I mean, even the press release used "Masaru", they could have just left it. Oh well.